• Five Cisco routers, one Catalyst 3550 with the EMI software image installed, and one other C; switch. Only one switch needs to be a Catalyst 3550 with the EMI installed. You may simulate switch wioh another Catalyst as long as it supports 802.1Q and EtherChannel. • The switches need two back-to-back 100BASE-T links or a Gigabit Ethernet for the EtherChan coone ction. 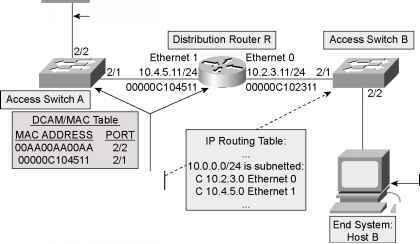 The other routers should be set up with a Category 5 connection to the appropria' as depicted in Figure 1-3S.